Born in November, 1909 in Tranmere, Birkenhead, Charles studied Pianoforte and Harmony with Miss A. Davies, ARMCM, from 1918 to 1924. (He became an apprentice gas-fitter at the age of fourteen and worked for the Gas Board for fifty-one years.) He resumed his studies in 1931 in Keyboard Technique with a Miss Hughes, and also studied singing with Mr. D. Woolley. Charles became the accompanist (from about the age of nineteen) to the Welsh Choral Union and their Musical Director, Mr. D. R. Jones (popularly known as ‘D.R.’) During the 30’s, he conducted The Cambrian singers and The Apollo Singers, although which came first is no longer known. 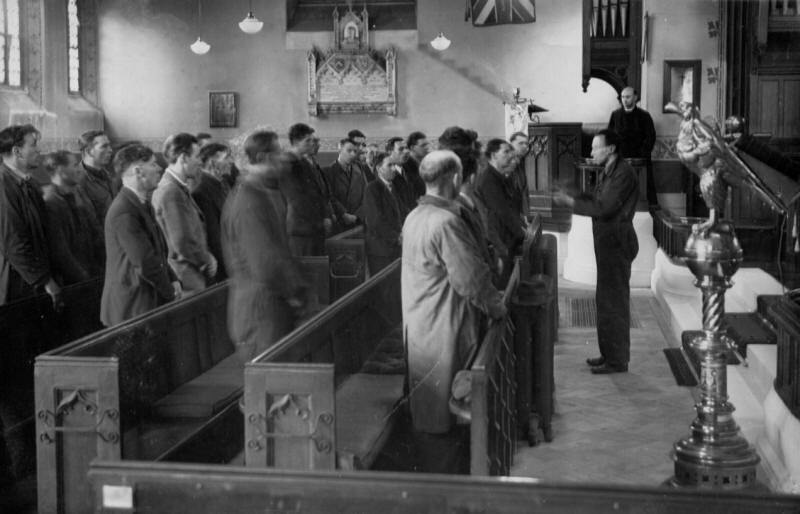 In 1943, whilst still at Cammell Laird’s Shipyard, Charles founded the Cammell Laird Male Voice Choir, which was formed expressly to entertain the work-force during their lunch-breaks. [It was during this period, when metal objects like tuning-forks became impossible to buy, that the members who were boiler-makers made a 3ft tuning fork complete with wall brackets fixed in their practice-room, because Charles in his absentmindedness kept losing his pocket ones and eventually was unable to replace them. They actually did it as a joke, but Charles found that it sounded at low B flat, and used it as the starting point in their practices thereafter.] We recently received a picture of one of those rehearsals. After the war, this choir formed the basis of the famous Birkenhead Male Voice Choir, which during its existence made 25 broadcasts for the BBC and gave 72 concerts for charitable causes. The broadcast included eight programmes in the series “Sounding Brass and Voices”. In addition to concerts and broadcasts, the choir was involved in much competitive work in British Festivals, competing on 26 occasions and winning 10 first prizes. 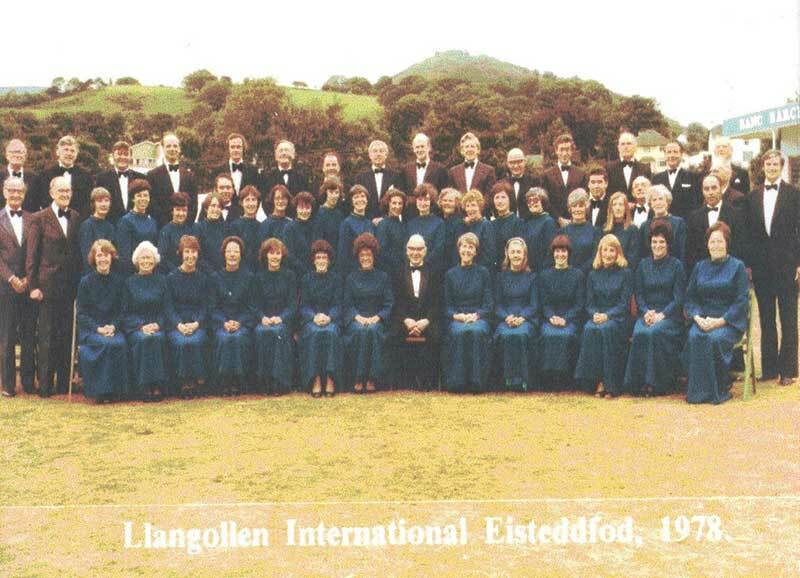 At the Llangollen International Eisteddfod, the B.M.V.C. won one first, three second and two third prizes during their (approx.) 7 or 8 years as a choir. 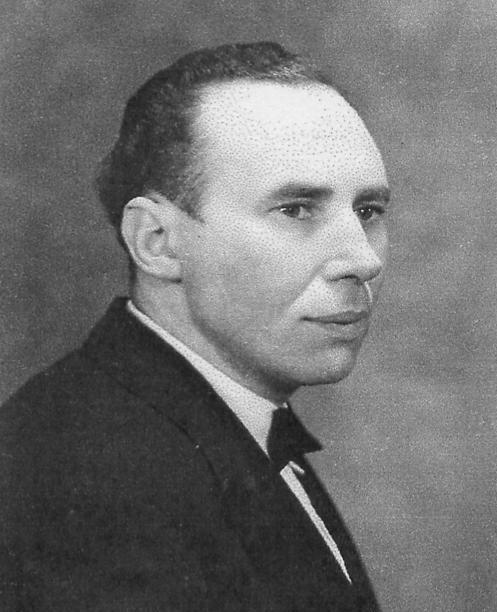 During 1952-1956, Charles lectured for the Birkenhead Education committee at a Choral Evening Institute Class. The singers from this class amalgamated with some members of the B.M.V.C. to become, briefly, The Hamilton Singers, which grew so much in popularity that they then formed in 1956, the Birkenhead Choral Society. In 1960, when the B.C.S. took First Prize in the Mixed Voice Section at Llangollen, Mr. Scarratt became the first conductor to carry off the trophy for First Prize in two different categories: the Male Voice Section and the Mixed Voice Section in the major choral competitions. The record of his two choirs at Llangollen reads; three First Prizes, four Second Prizes and five Third Prizes. When these honours are added to the other prizes won with both choirs over the years, the brilliance of Mr. Scarratt becomes even more evident as, in total, they read: 36 First Prizes, six Second and five Third Prizes. In the mid-sixties, the B.C.S. extended its repertoire with performances of “Messiah”, then in 1965, 1966 and 1968, combined with the Liverpool Anglican Cathedral Choir under the baton of Ronald Woan, to give concerts of music by Bruckner, Mozart, Vaughan Williams, Faure and Handel. Also in 1968, the choir was honoured to perform with the Chester Cathedral Choir, the “Dream of Gerontius” by Elgar, under the musical direction of Maurice Handford, with the Halle Orchestra. The choir gave countless concerts in churches all over Wirral and Cheshire to benefit Church Funds and many Charities, including NSPCC, Oxfam, Christian Aid, Guide Dogs for the Blind, Church of England Children’s Society and many more. Charles died on July 9th, 1979, after almost 60 years of music making. Although strictly speaking, an amateur musician, during his lifetime he developed the standards of a professional, being a very gifted and proficient pianist, who in his later life also became a church organist. He gave unstintingly of his time and talents to the cause of choral singing and those privileged to have known him and to have sung under his inspired direction, will never forget his warmth, his humour, his kindness and above all, the quality of music he brought into their lives. It is fitting that Charles should be remembered through an Annual Award in his name to help young musicians to forward their careers.